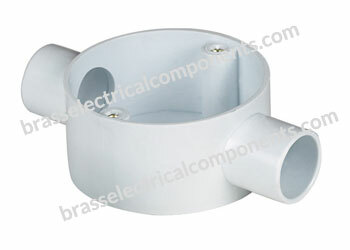 Compatible with all the female threaded conduit product in the Factorylux range – including the conduit boxes and joints. 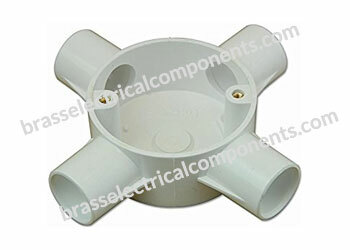 Provides tight, reliable hold of conduit. Can be secured with locknut. 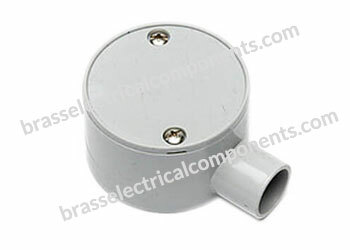 Used to protect cabling as it exits a female threaded conduit fitting. 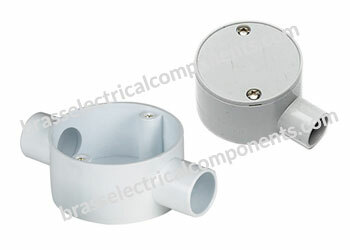 Allows adding new wiring to an existing building without removing or cutting holes. Also allows circuits to be easily locatable and accessible. Flexibility of connects make cable & fixes connect precisely as per the length & their placement. Finishes: Hot Dipp, Electro Galvanised and Black Enamel. 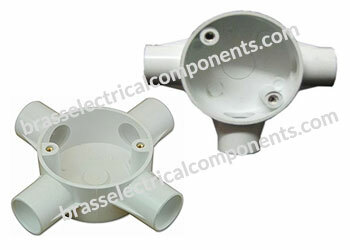 Description:60.3mm Internal Diameter x 25.4mm Deep Tapped M4 in mm sizes and 2BA in imperial sizes of 50.3mm with tapped hole in base for earthing screw. 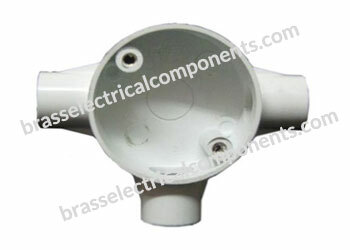 Supplied without covers & screw unless ordered.